Yes I agree. So Dusty What do you say we go chase some sticks on the beach odi smiled Evily trying toget dusty Alone. Saba stared and smiled seeing Aleu running up to her. "Aleu! Oh it's so great to see you." she says nuzzling her sister tail wagging happily but something else soon caught her attention. A airplane flew above them she stared at it in wonder it landed just on the outside of Nome she could tell but she knew it wasn't the bush plane it was another airplane. She arched an eyebrow curious to check out what it was but dismisses it and turns back to Aleu. "Where have you been all this time?" she asks her sister. "As you wish Kodi"Dusty smiled and nuzzled him. "Oh Im so glad you're home Aleu,We all missed you"Jenna said. "Well I had homesick all the time. "Aleu laughted. Kodi nuzzeld his sister and said we will talk soon. Then he led dusty to the beach in hopes of being able to Mate with her and get her to be his mate. As saba followed her father and family she thought more about the strange new plane and wondered who was it who came to nome now. "Hey dad who do you think has come here now?" Saba asks her father. Kodi Led Dusty up the beach Looking for a good place to Ask her to be his mate he hoped she would say yes. "Oh Balto not again, you want fly? "Jenna asked and lughed. "I haven't thinked about it Kodi, but I say yes. "Dusty smiled and nuzzled him. "That's interesting. "Aleu said. "So you say thing big thing can fly? "She asked. "As always. "Jenna said and lughted. "So dad you said you have already flown. 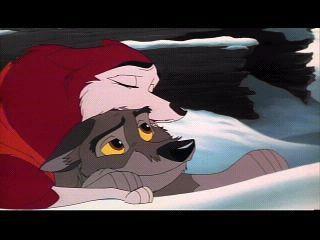 "Aleu asked Balto. "Me two Kodi. "Dusty nuzzled him. "Yes he flew in a plane with a pilot named Duke a little while ago." Saba says. As they all went to go check out the plane. The first thing she noticed was it was slightly bigger than the bush plane. She sniffed at the wings curious and cautiously. "Yes he is a vet who has come to nome seeking a job. My name is Josh by the way." Saba felt herself blush slightly. "I'm saba" she says. Balto said Yes Welcome josh Nice to meet you im Balto And This is my daughter Alue And my mate jenna. Also Saba is my second daughter just so you know. "Look Kodi it is a very cloudy day and ist only afternoon. "She said. "Lets go and see you family. "She smiled. "But I'll free in tonight. "She blushed. "Nice to meet you"Aleu said and smiled. kodi said Alright Im ready to mate if you are. But i agree tonight may be a better time to do that. Dusty and Kodi were almost there. "I think I saw a stranger. "Dusty said. Jenna and Aleu was listening to the talk. Kodi saw the Dog too. I wonder who he is. Hello Kodi said aproaching the dog. Im Kodi and This is Dusty Who are you? "Nice to meet you"Dusty said and smiled. Jenna smiled to the arrivels than she whispered Balto. "Dusty'll a perfect mate for our son. "She said. Aleu smiled than she began to think, she haven't got any mate. balto agreed and Smiled at everyone. So Balto said what do you want to do josh? Balto said thats great. Would you like to hang with us josh he asked? "Its okay Kodi,Im ready. "She said blushing. "Yeah, I want to look what did the village changed. "Aleu said. Kodi found a spot hidden from view He wantedDusty to be comfortable and Wanted to be alone with her. Im glad to here thatDusty kodi said He Blushed again Im ready when you are. Balto And hs friends and josh decided to go to find somewhere to eat and Have some fun, So josh are you hungry Balto asked being friendly.